I finished spinning up the ITW Yipes! Stripes! today. The second bobbin is all done. I will ply it with the first bobbin to make a 2-ply. It will definitely be thick-and-thin because that’s the way I spun the singles. I might ply it tomorrow. I have lots of plying to do, so I decided to do some plying after I finished Yipes! 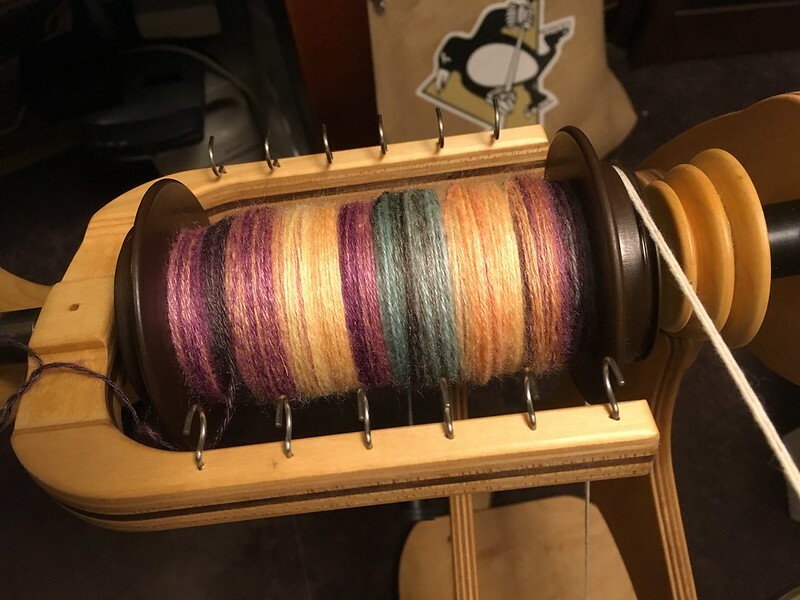 This is Gilmore’s Glorious Good, another Into The Whirled color way, in the process of being chain plied in Irish tension on my Schacht Flatiron. 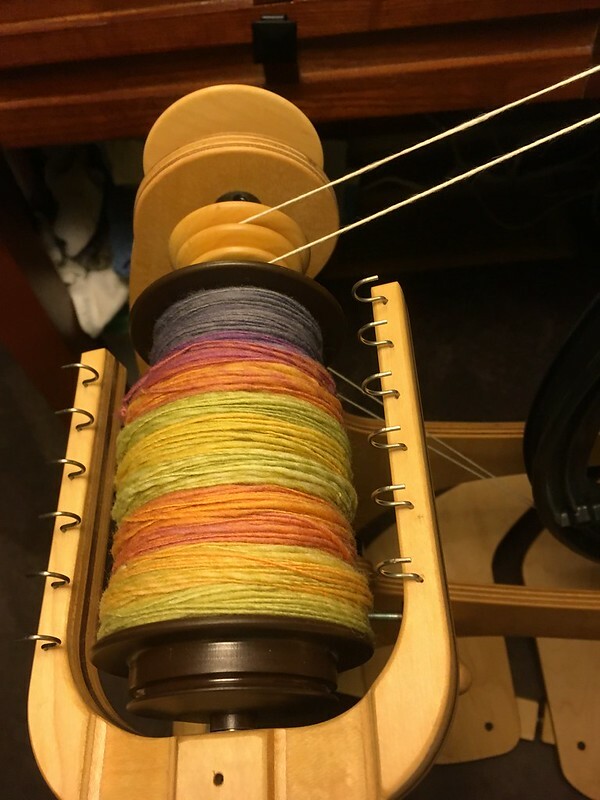 This entry was posted in Spinning and tagged Into The Whirled, Irish tension, Schacht Flatiron, Tour de Fleece. Bookmark the permalink.